US average mortgage closing costs are $3,024 - it includes lender fees / broker commission, title and settlement fees. It does not include county recording fees or recurring costs such as homeowners insurance, property taxes, homeowner association dues or points people pay to reduce interest rates. New York is the state with the highest average mortgage-related fees, Missouri is the lowest. The key to getting a good deal is to shop around. Smart borrowers just ask a lot of questions: 'What's this? What's that? Why is this fee so high?'" 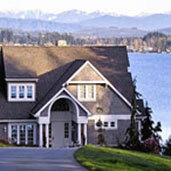 Request a good faith estimate, and, within a day or two of closing, request a HUD1 statement. That last document, called the HUD-1 statement, is always more accurate than the initial good faith estimate. What is a No Closing Cost loan? Keep in mind the concept of discount points. By paying points, you can buy the rate down. Well, the reverse is true. If you decide on a loan with a rate higher than the base rate, the lender or broker is paid the opposite of discount points - Yield Spread Premium. Brokers can use these funds to pay a fraction or all of your closing costs. No one works for free, the slightly higher rate gives lenders the funds to pay the attorney, underwriter, title insurance and so on. You should run the numbers on our web site to get an idea about rates, payments and closing costs. Then, to get a low or no-closing costs loan, use our network of lenders and expert mortgage specialists to find the best loan for your property.